The Proline PL700Z Folding Z Keyboard Stand has sleek looks and the strength to support up to 375 lbs. It will accommodate electronic keyboards from 55 to 88 keys, or DJ equipment and music mixers. Z shape means you can play from the front or the back of the stand. Rectangular 1″ x 2″ structural tubes make it heavy duty. 3/4″ center tubes allow you to adjust the width from 21″ to 36″. 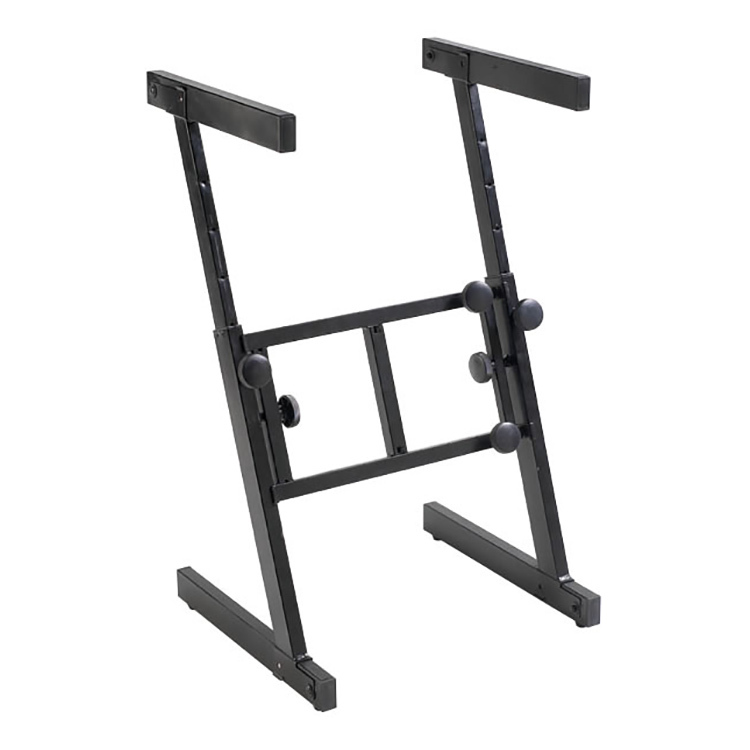 Height adjusts from 24″ to 36″ so you can use your Proline keyboard stand while sitting or standing. It collapses and locks for convenient transport or storage. • Adjustable height and width.